Winter just relaxing in the "Winter Zone". She is an inspiration to millions of people worldwide. 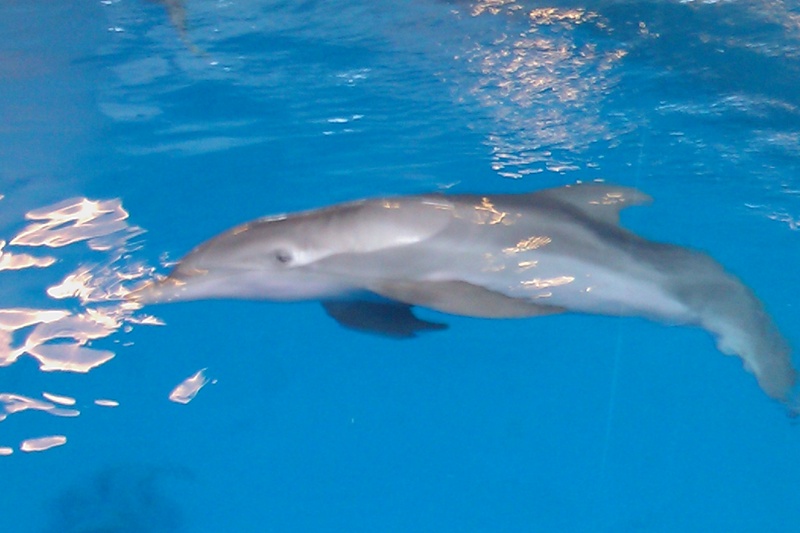 Winter is an almost 6-year old sub-adult female bottlenose dolphin who was born around September 2005 off the coast of Florida. One day on December 9th, 2005, Winter found herself entangled in a blue crab trap in Mosquito Lagoon nearCape Canaveral, FL while playing with a buoy on the surface of the water. She would remain trapped for the next 36 hours. 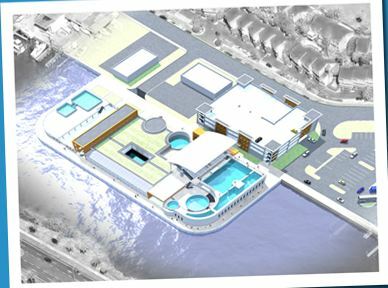 Then, the next day, Winter was saved by the rescue staff from the Harbor-Branch Oceanographic Institute and the Hubbs-SeaWorld Institute the next day on December 10th, that same year. The rescuers arrived after receiving a distress call from a local fishermen who found Winter entangled in the fishing gear. When she was freed, Winter was in serious condition that she was not expected to survive. She was then sent to the Clearwater Marine Aquarium in Clearwater, FL four hours later. There, her rehabilitation began. With blood cut off as a result of being in the trap for so long, Winter lost both her entire tail and two vertebrae a few days later. Most dolphins who get entangled in fishing traps often die either during the process or shortly after getting trapped. Winter on the other hand, despite the prediction that she would not survive her ordeal, her condition later began to improve. But, this was only the beginning of an amazing story of survival from the dangers that many dolphins face as a result of human activity. How Winter Got Her Prosthetic Tail….. In the Wild, dolphins having no tail can lead to either serious injury or even death. Winter on the other hand, was now in human care but still had to learn how to swim in a very different pattern that is similar to that of fish and snakes. She had now adapted to this swim pattern as well as eating on her own for the first few days of her arrival, she was hand fed by the vets and volunteers who rescued her. They used a tube to feed her. In 2006, CMA announced plans to create a bionic tail for Winter. So for several months, people everywhere collected money for the project. 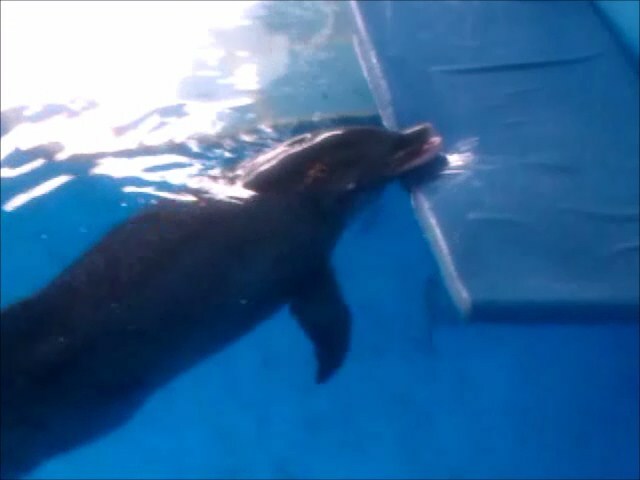 In August 2007, Winter was fitted in her first artificial tail that was created by Hanger Prosthetics and Orthotics, Inc. Winter would only become the second captive dolphin to ever receive an artificial tail. Over the course of a number of months, Winter had to learn how to use the correct body position to be fitted for the stretchy plastic sleeve. This is the one that is mainly used for human prosthetics. Her trainers have also created one that is more form-fitted version of this sleeve. The sleeve will probably have to be adjusted as Winter gets older. So far, Winter has had 16 tails over the course of her lifetime. The tail fluke acts as a dolphin’s power house. The dolphin uses it to swim at the fastest of speeds, and to sometimes defend themselves predators such as sharks and killer whales. I shake hands with Winter Dolphin at Clearwater Marine Aquarium during my day off from work. 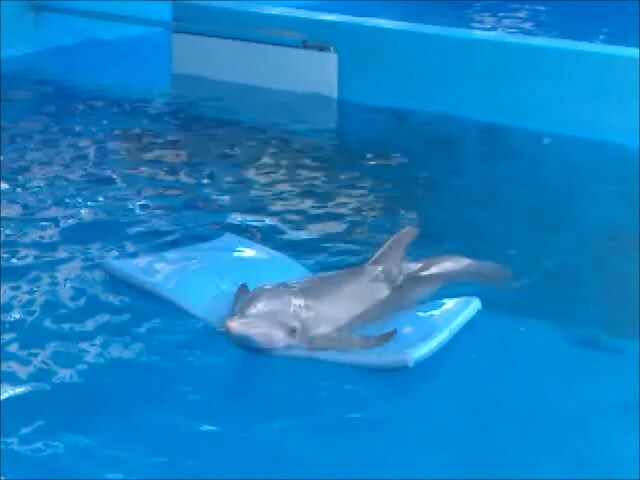 Today, Winter continues to thrive as a “bionic” but tailless dolphin at one of Clearwater Marine Aquarium’s three dolphin exhibits. Over the years since her rescue and arrival at CMA in 2005, She has inspired people from around the world to know, love, and care about the plight of dolphins in the wild. She has even inspired those who suffer from disabilities to overcome their limits. In fact, Winter’s amazing story has appeared on NBC, The Bonnie Hunt Show, CNN, BBC, and a number of newspapers worldwide. 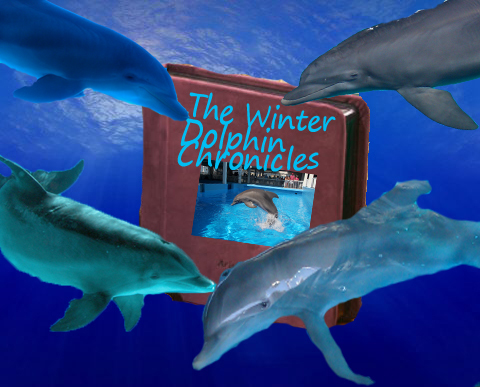 She has even become the subject of a 2009 direct-to-DVD documentary called Winter, the Dolphin That Could. Winter currently weights in at around 230 pounds and has completely healed from her injury from the crab trap. Winter is very calm, and studious. However, she can sometimes be very playful and interactive towards guests when she has her moments. 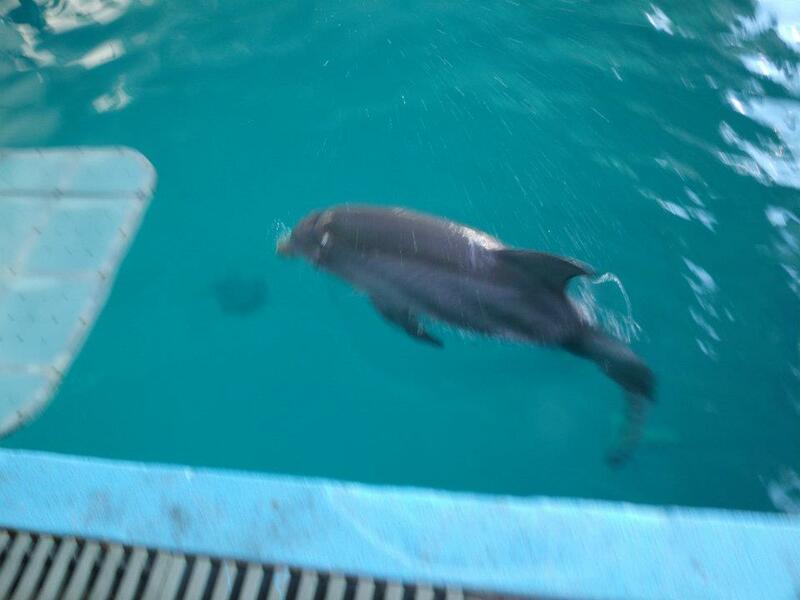 She has even been adopted by an old female dolphin name Panama shortly after being paired with her in the main tank. 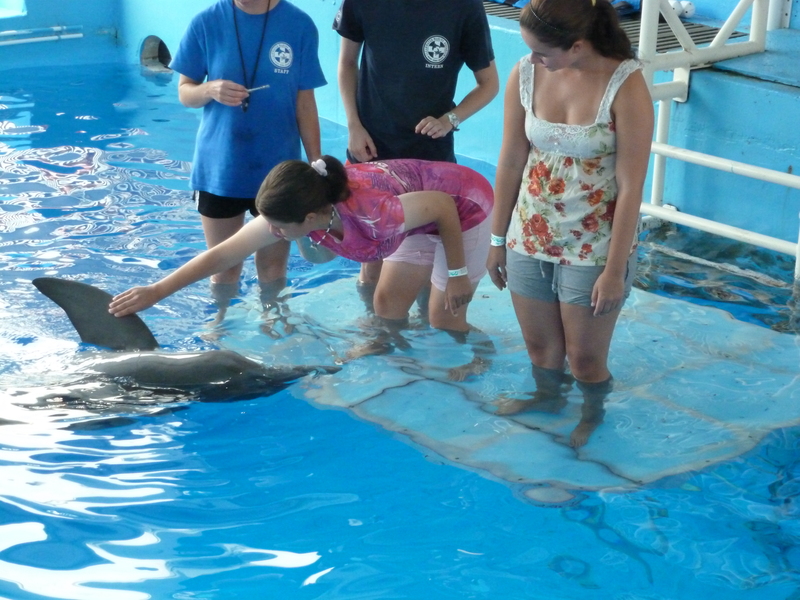 Winter does both public training sessions and guests interactions like all the other CMA dolphins. As of 2006, Winter has been declared as unreleasable by NOAA Fisheries due to serve injuries from the entanglement at Mosquito Lagoon. 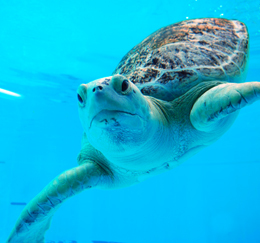 You can currently see Winter and Panama at the “Winter Zone” exhibit at Clearwater Marine Aquarium. Panama relaxing on the bed Winter tries to steal from her all the time. Winter always tries to steal the floating bed from Panama whenever it’s in the water and Panama’s using it. As a result, the two dolphins will “fight” over the bed although they might be actually playing around with each other. In most cases, Winter ends up winning the floating bed; but, on some occasions, Panama will give in to get back her beloved bed and will continue to rest on it. 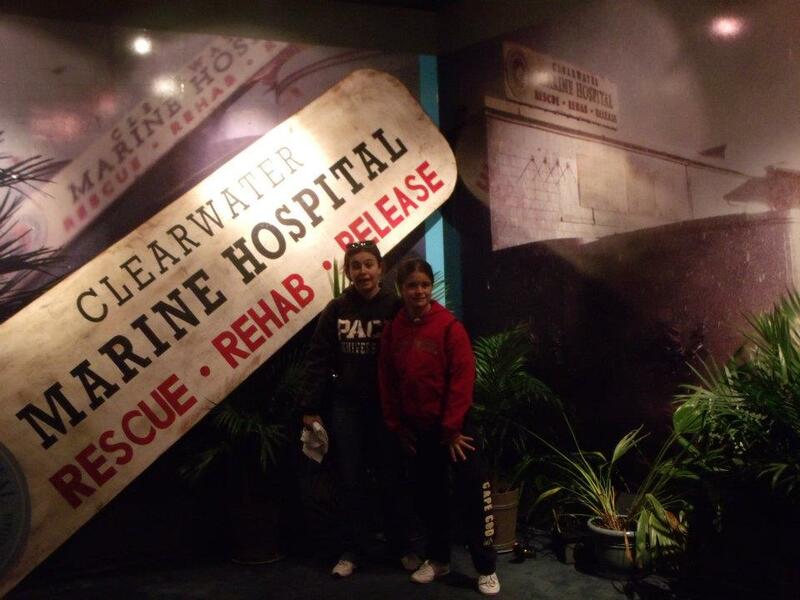 It is such the funniest moment at Clearwater Marine Aquarium. In your opinion, who did you think won the battle? Was it Winter or Panama?